In our last article, we started talking about Millennials, who are roughly between the ages of 18 and 30, and who are expected to make up 75 percent of the workforce in the US by 2025. Millennials have an altogether different view of work and the workplace than Generation X did. 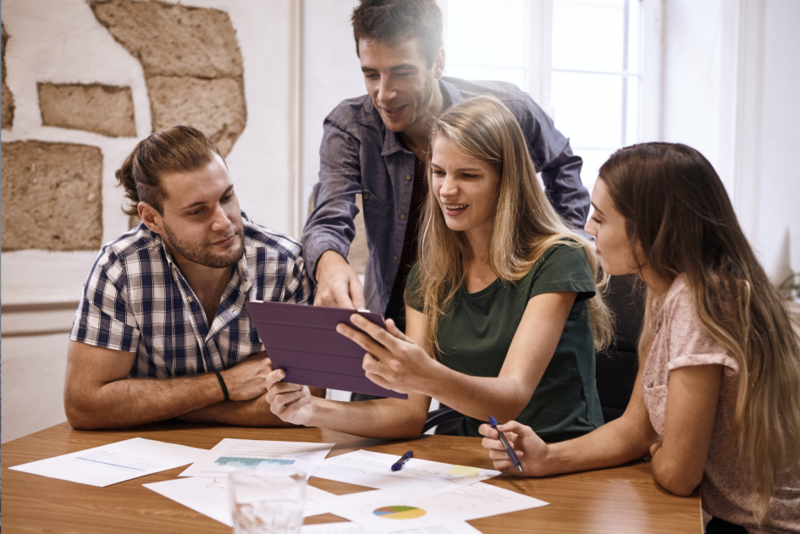 According to Cushman and Wakefield’s new study, “Facing the Millennial Wave,” Millennials expect the workplace to address and conform to their needs, not the other way around, as it was for Baby Boomers and those from Generation X. Since Millennials grew up during an era of unprecedented change and advances in technology, Millennials have specific expectations in workplace design, and they won’t hesitate to change jobs for a more suitable working environment. Millennials cut their teeth on smartphones, PC’s, and social media. So, they’re going to want up-to-date technology at the office. Prepare to give them access to newer computers, newer software, and things like stand-up desks. Millennials don’t mind ever-changing hard-to-remember passwords or the hassle of a virtual private network (VPN) because, well, that’s modern technology. Millennials expect the Internet of Things (IoT) and don’t balk at easy ways to track their time, share their documents or know where products or other employees are by geotracking. The flip side of this is that these same millennials can appear to other generations as distracted, self-indulgent, and demanding. We already mentioned in Part 1 that millennials care about the environment, and they are nothing if not practical. So, for design, they want trendy as long as it serves a purpose. Examples would be chairs that are simple but comfortable, art that’s tasteful but not overly expensive, and colors that promote productivity and creativity. Flooring should be hard-wearing but come from renewable sources like cork or linoleum or renewable engineered wood. Something synthetic would be okay if it’s made of recycled materials. Maybe even rubber flooring should be considered in a bright color because of its inherent anti-slip attributes and great acoustic properties. Flooring that comes in tiles would also hit the mark because it’s so easy to repair if needed. Millennials want the work environment to reflect their values, and waste is not one of them. Millennials are here to stay. So, if you want the best of that generation working for you, then fulfilling their expectations in the workplace is the only way to attract and keep them. When it comes to the flooring part, come to us first, and let us get you on track for success with the new generation.